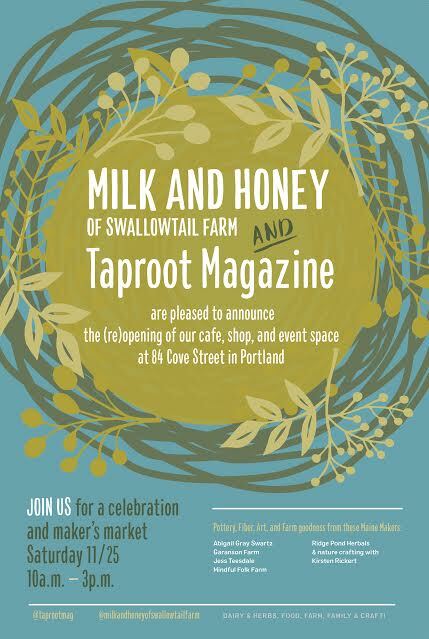 I've been invited to be a vendor for Taproot Magazine's Grand opening at their new location with Swallowtail Farm! It's the Saturday after Thanksgiving in Portland's bayside neighborhood. If you are in the area- please check out the FACEBOOK EVENT for more details! hope to see you there!